Maeve Alpin loves reading and writing about ancient times. It’s only natural she loves alternative history just as much. She had a lot of fun adding an ancient twist to the Victorian age in her Egyptian/Steampunk/Romance As Timeless As Stone by Lyrical Press. 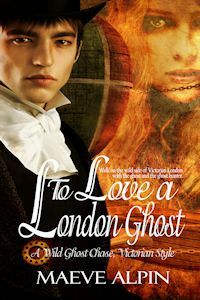 And her newest release, a Celtic/Steampunk/Romance, To Love A London Ghost by Eternal Press. She lives in Texas with her family; her grown son, her granddaughter, and her spoiled cat, Severus. Visit Maeve Alpin at http://maevealpin.com. 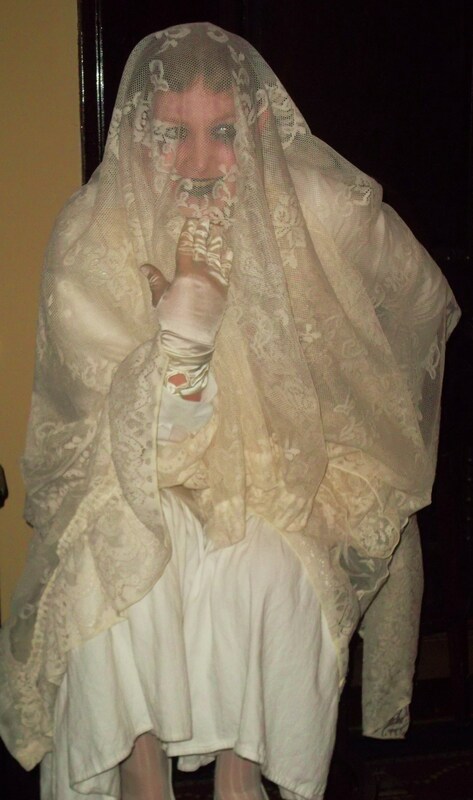 Engrossed in spiritualism and Gothic novels, many Victorians, haunted by ghost, held table rapping séances. A parlor game still played to this day kown as the Ouija board received its paten in 1890, invented by an American lawyer, Elijah Bond. You can take a look at those first boards in the antique galleries and play an online version at The Museum of Talking Boards http://www.museumoftalkingboards.com/WebOuija.html. The Victorians also loved to tell ghost stores in grand style by candle and gas light as cold winter winds howled outside. Among the Victorian authors who crafted classic ghost stores were M. R. James, Sheridan Le Fanu, Violet Hunt, and Henry James. The most popular ghost story from the Victorian age, A Christmas Carol, like the Ouija board is enjoyed to this day. My favorite is the Mr. Magoo version, as a kid I watched it every year. You can enjoy it online at http://www.hulu.com/watch/197592/mr-magoos-christmas-carol. Most people today are also familiar with another classic Victorian tale, Oscar Wilde’s The Canterville Ghost, if not the short story itself then one of the film versions which are often shown on TV. I always liked the one with Jodi Foster. 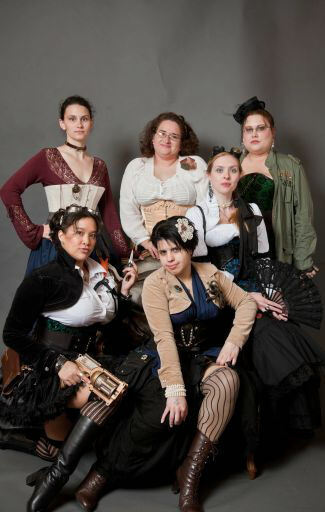 With all this inspiration from Victoriana it’s no surprise I wrote a Steampunk/Romance with a ghost as the heroine. Walk on the wild side of Victorian London with the ghost and the ghost hunter with my new Steampunk/Romance To Love A London Ghost. When Queen Victoria orders Sexton Dukenfield, premiere phantom hunter, to track down England’s missing ghost he stumbles into Ceridwen, a phantom warrior woman of an ancient Celtic tribe. Not only does he find her intriguing as a piece of the puzzle of the missing spirits, but he’s also haunted by her sultry sensuality. Though they both burn with desire, it’s difficult to quench their fiery passion since Ceridwen is so translucent. Every time Sexton touches her, his hands pass through her misty body. On a mission through the bustling narrow streets of London, to a dreary match factory, and even to the Otherworld and back, to stop a genius scientist and his phantasm debilitater machine, the ghost and the ghost hunter seek the secret to freeing the boundaries of life and death. Even in these strange circumstances, Sexton couldn’t help but notice the ectoplasm outline of the lush bulge of her heavy breasts. 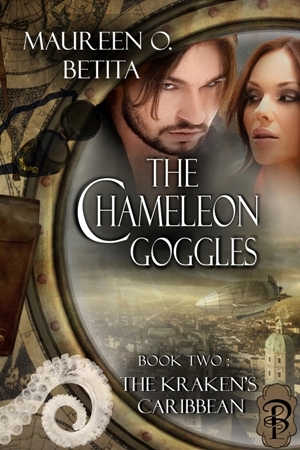 He riveted his eyes on them, then his gaze roamed to her waist, which flared into curved hips and long, supple thighs. “These?” He held up the device he clutched by the brass handle and grabbed the one strapped over his shoulder. “No magic, just boxes. They measure energy and heat, to tell me if phantasms are near. They can’t hurt you. Though I don’t need them now. I can see you, I know you’re near.” He turned his head toward the child peering at the specter from behind him. “She really is a ghost,” Katie said. Please comment below to be entered in the drawing for a Steampunk Basket, including a Steampunk papier-mâché gun, Steampunk jewelry, (necklace and pin) and Victorian holiday treats. OPEN INTERNATIONALLY! Contest closes December 7, 2011, at 11:59 PM PST. From the shim mer of a fine silk to the rough heft of homespun wool to the smallest and laciest of unmentionables, textiles bind our lives together. And not just ours: Human beings have been weaving and stitching, spinning and sewing, for millennia, back to prehistoric days and up to today. The Egyptians had their thin, fine linen shifts, and the Romans their bulky, urine-bleached wool togas (imagine that overwhelming smell on a hot day!) — although they only wore them on special occasions. And the Byzantine and Chinese courts dazzled with all the pageantry that legions of cloth artists could provide. From hundreds of types of tassels at the height of the French court to the intricate lace of Holland, textile arts had already reached an incredibly high level when “just” done by hand. 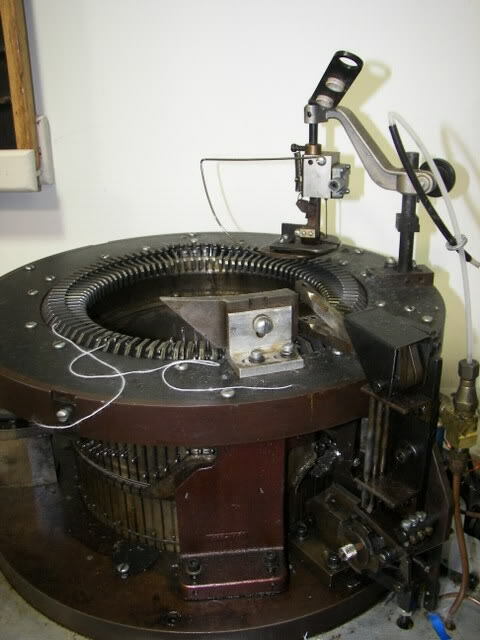 By the time of the French Revolution, industrial-style factories with huge looms already existed to feed the ever-growing needs of the mercantile class. The march of the machine only intensified through the true age of steam and beyond. 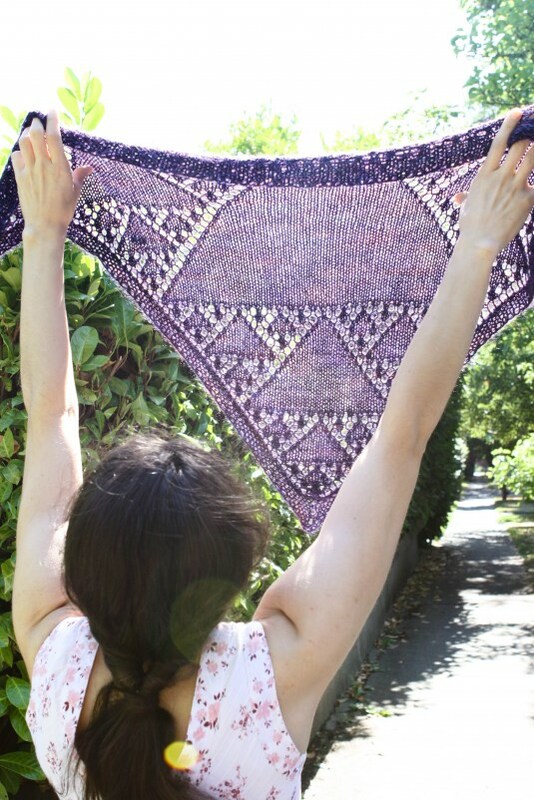 Imagine reading an instruction for a knitted piece that said, simply: “cast on sufficient stitches for piece, knit in pattern to completion, bind off in pattern.” That’s the rawest pattern you may ever see! Yet if a lady knew what she was doing — through years of expertise and practice — she could take that minimalist pattern and create something useful and beautiful. 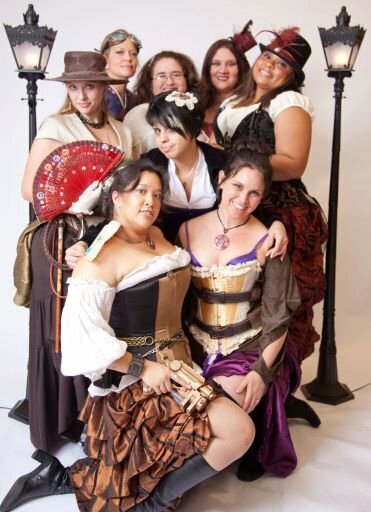 The ladies of Mischief is a collective of knitters, crafters, artists, and steampunk enthusiasts who are creating a book to explore the amalgamation of knitting and steampunk. We are working hard to have this work completed by the spring. The patterns in our book are more like the most fantastic, intricate creations the Victorians could dream of — complicated and delicate, beautiful and fine. 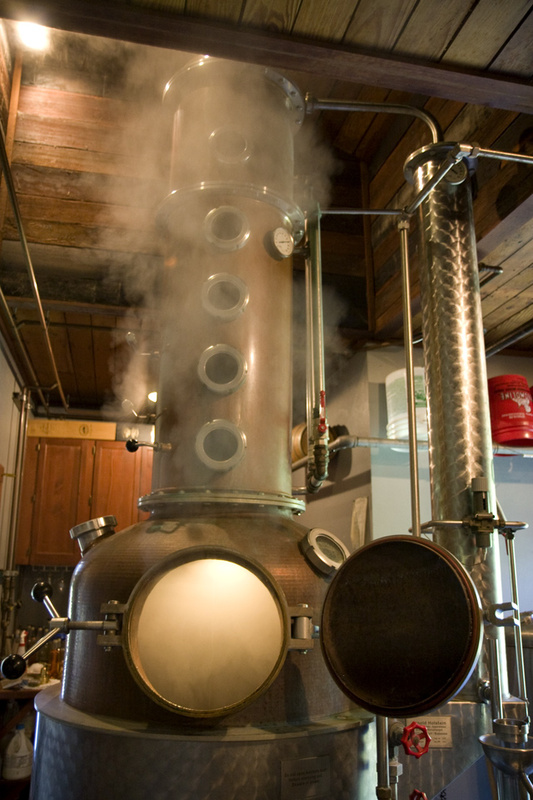 Don’t worry — we will walk you through each step, row by row and line by line. You won’t need a hand-cranked home sock machine, as some Victorian ladies used (although don’t let us discourage you from getting one… and modifying it to according to own designs, of course!). Join us in new adventures and let’s make textile history together! It’s hardly an obscure fact that reality quite often fails to live up to fiction. In reality we have bills to pay, people to please who don’t necessarily please us in return, and jobs that eat into our time and, at worst, our souls. In fiction, we can soar above this and be heroic, romantic, and unconventional. In part, this helps explain the success of science fiction and fantasy, as well as the enduring appeal of certain archetypes; the rebel, the pirate, the mad scientist etc. It was thinking along these lines that made me want to write something that was just plain, simple fun. Something with action, adventure, and romance. 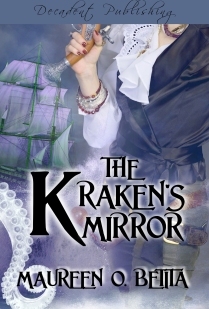 Given that I have long enjoyed the aesthetics of steampunk, and that I’m a bit of a fan of Pirates of the Caribbean, it was no surprise when the two meshed in my head and I had the core idea of steampunk pirates. 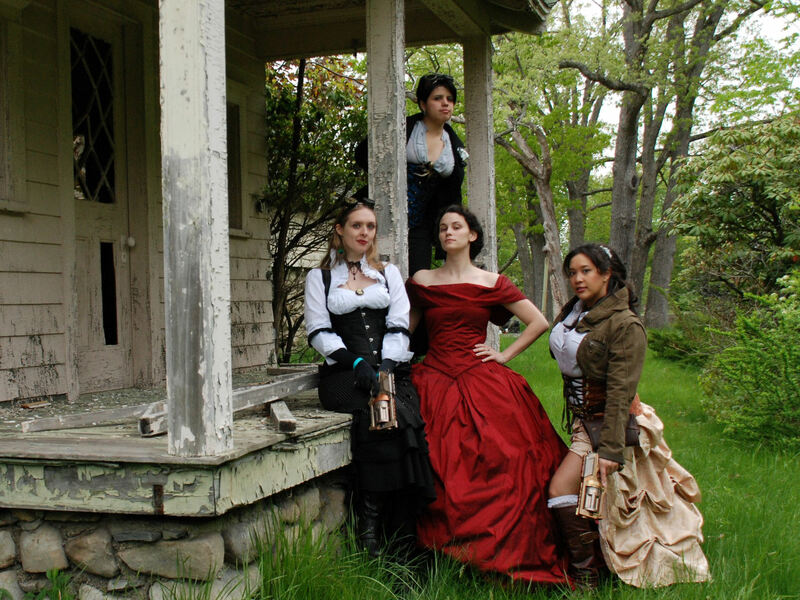 So be warned – these are not the pirates of airships. These are the other sort, traditionally seen with an eyepatch, a parrot, and a wooden leg. Yo ho ho and a bottle of rum. Maybe the last one isn’t a convention, but I knew who she was and how she fitted into the plot. 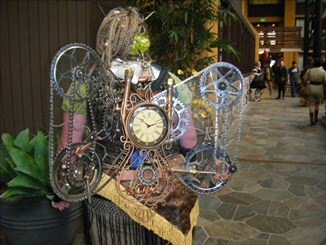 Thus was born Lady Mechatronic and the Steampunked Pirates. Having got the ingredients I gave them a good stir and immediately hit a snag or two. For one thing, there was too much going on. The logistics of getting character A into location B, and ensuring that there he can meet character C, who will have an effect on D, dictated a certain shape to the story. For example, in making the hero, Captain Hartwell, a reluctant pirate, he had to have a nemesis to make him that pirate, and that nemesis quickly turned into his superior officer, the iniquitous Admiral Johnson. Which meant I had no place for the villainous pirate. To make things worse, as the book progressed, I realised that Johnson was a character who demanded more space, not least because he’s a fat git. And so one of Johnson’s minor henchmen was promoted to second villain status, to leave Johnson free for future development. This resulted in another problem, in that the book was potentially growing into the size of an encyclopaedia, and given that I was aiming at a novella – a quick, exciting, light bite of a book – I had to look again at the ideas and decide that a sequel was going to be needed. Probably several. 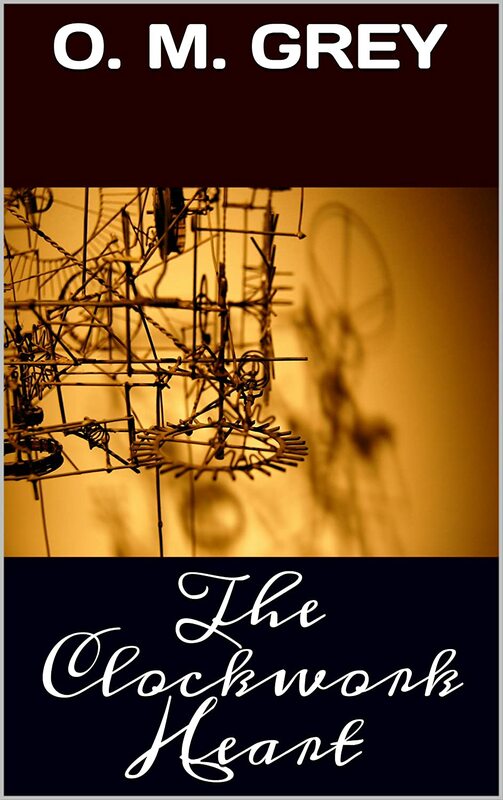 This meant that the practical decision to curtail the first book raised yet another issue; the steampunk elements had hardly been explored, it being the nature of the plot that these elements would develop in a logical, straightforward way… so although the components were there, I didn’t have the space to delve into them too much. 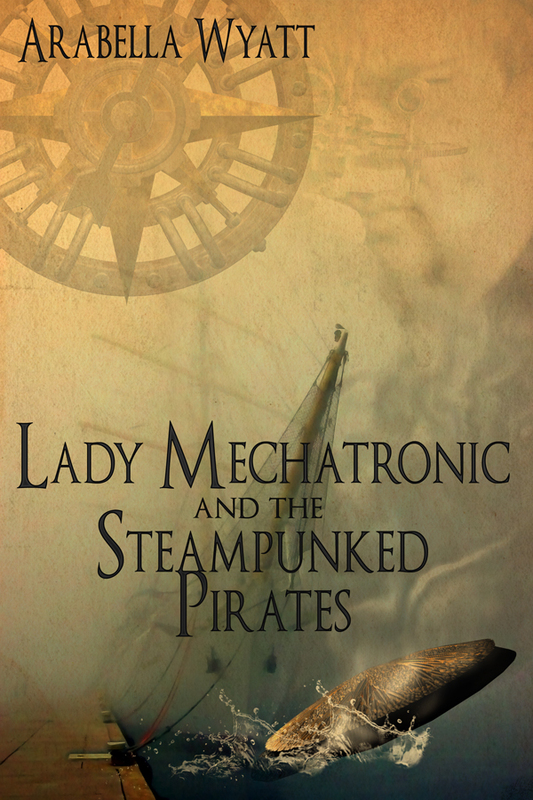 Lady Mechatronic and the Steampunked Pirates is available now from Devine Destinies, and will soon be available from Kindle, Fictionwise and other third party sellers. Places fuel our imagination. When we journey the planet to locations that influence our minds to think of times past or possibilities of the present, it inspires all manner of divineness in our hearts. 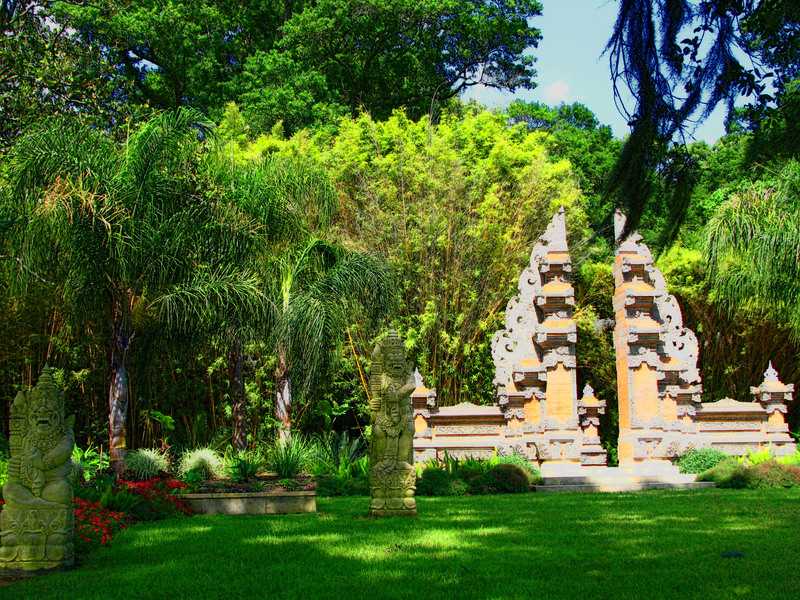 And for this reason, as a guest writing on the most esteemed ‘Steamed!’ blog, I wish to share a few of these magical sites that have unlocked within me romantic, otherworldly musings. As a suggestion with these fascinating spaces, one would be advised to dress in your very best steampunk attire to fully immerse in the experience. 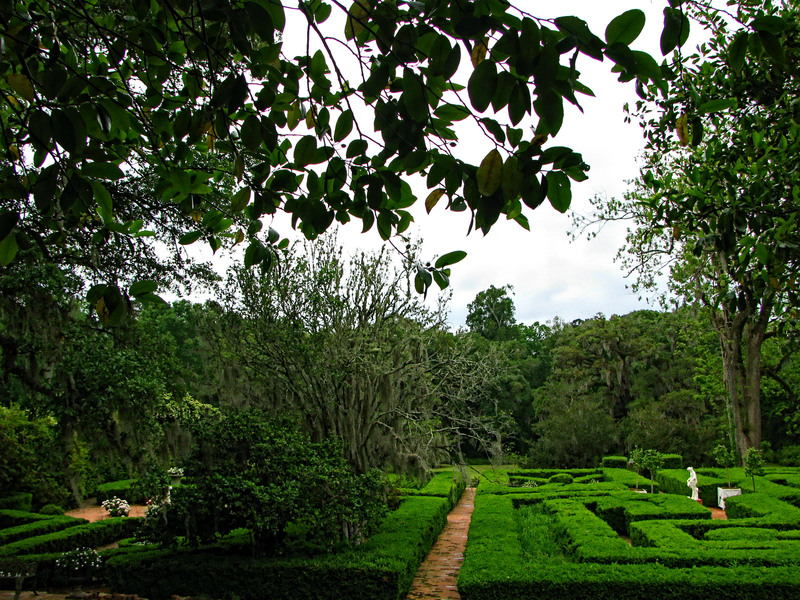 If you live anywhere in or near Louisiana, I suggest a sojourn to Afton Gardens. 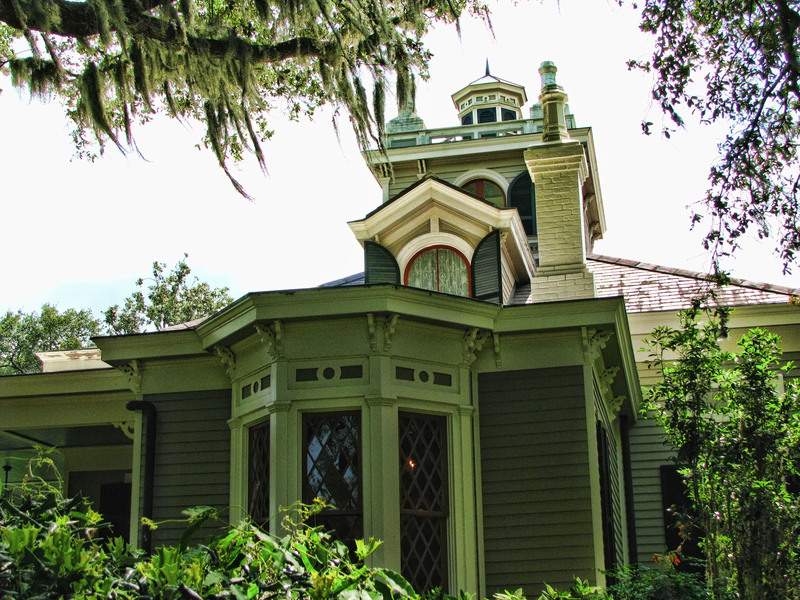 Whimsical and mystical, it is one of those eerily beautiful sights left over from the Victorian era. Be warned though, you must go when the days are cool, as it gets quite steamy otherwise. 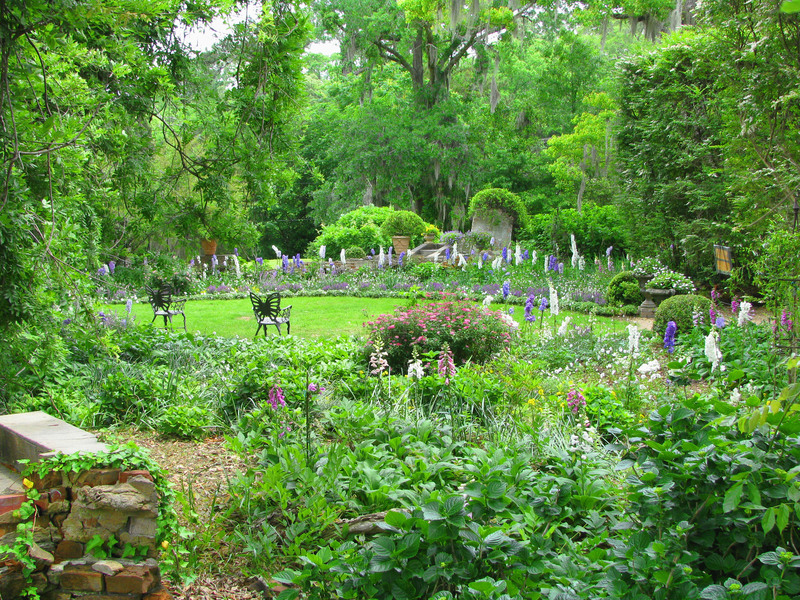 Since I have mentioned the South, this grand spot is one you can spend the night at, and is not far from Lafayette, LA. 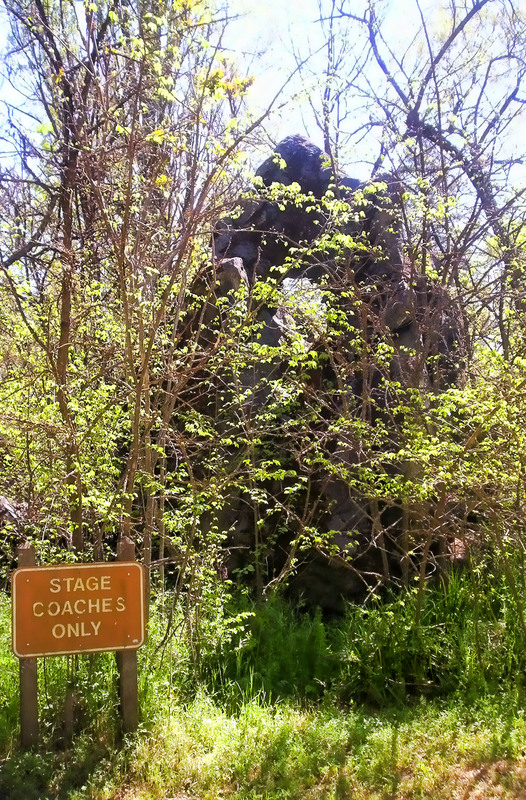 They have a quaint café, tales of pirates and sinkholes, and a garden filled with peacocks, ruins, and hidden paths. Now let us travel to the West, where anything is possible and most likely probable! If, like me, you are a western steampunk at heart, Columbia is a dream come true. I never tire of visiting this originally kept gunslingertown. 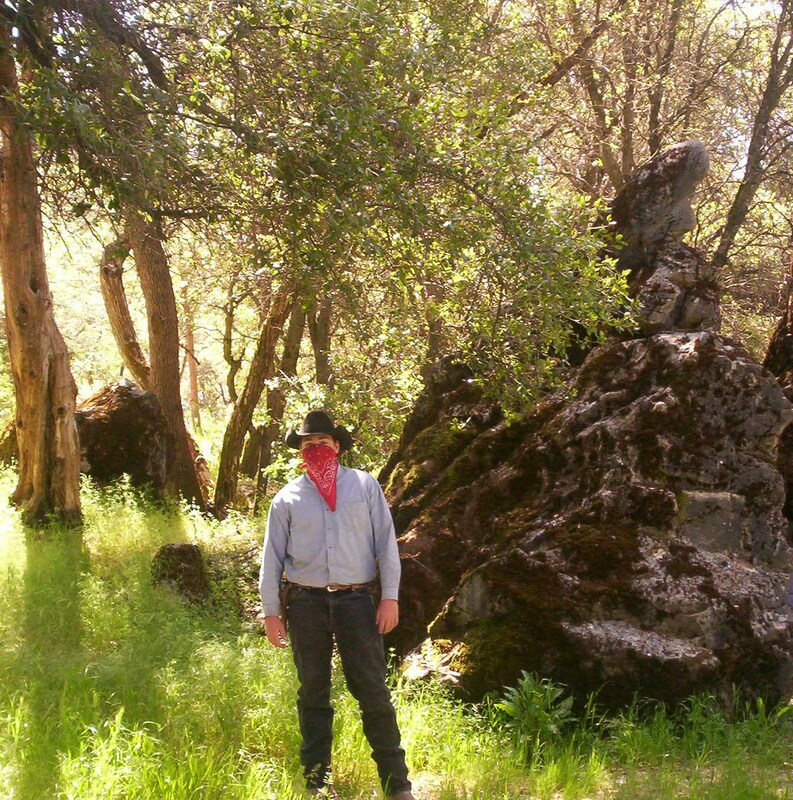 I once spent two nights and had quite the adventure. Let me give you some advice—no matter how much whiskey you can slam at the saloon, a midnight walk does not mean you can pet a random roving mountain lion just because you think it is a deer! 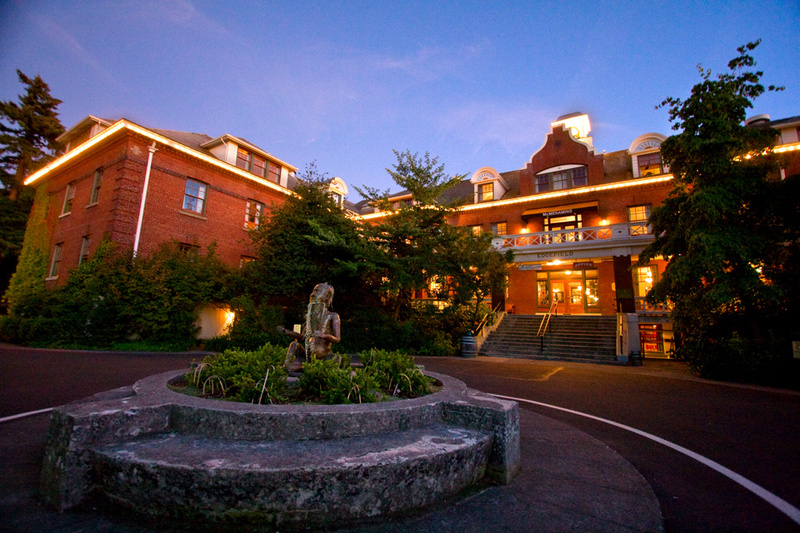 Built as a country poor farm in 1911, the charm of Edgefield and its grounds is not to be missed. Gather a group of your friends and stay at least one night, and bring your parasols and goggles. There’s a shack for fine cigars and a lawn for summer concerts (or croquette!). Wherever you find yourself, there are treasures to be had with but a bit of poking around. Dig, do your research,and then assemble your jolly fellows for a romping good soiree that is only limited to your imagination!